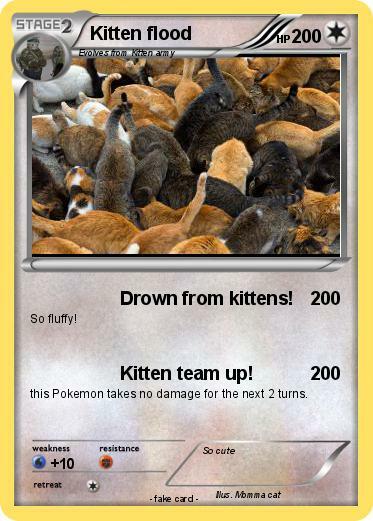 Attack 1 : Drown from kittens! Attack 2 : Kitten team up! this Pokemon takes no damage for the next 2 turns.